Ed Liebsch is a senior air quality scientist and a vice president for the engineering-consulting firm, HDR, Inc., where he has been employed for over 20 years. Education: B.A. in Earth Science from St. Cloud State University and M.S. in Meteorology from the Pennsylvania State University. Ed attends Revive Church, in Brooklyn Park, Minnesota where he has served in various youth and adult ministries. He and his wife Jayne have three grown children. 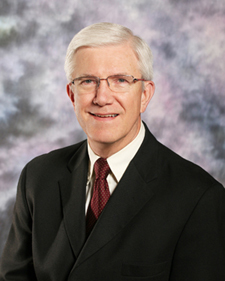 Owner and President, Tom Grose Inc.
Tom has been engaged in comprehensive financial planning, retirement planning, investment management and insurance services in Golden Valley, Minnesota since May of 1989, now retired. Member of Revive Church Brooklyn Park since 2001 where he is involved in worship ministry, coordinates the Angel Tree ministry and is a small group leader. 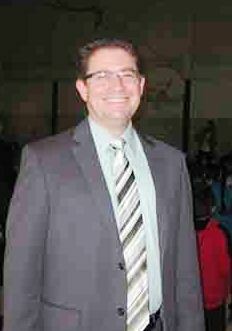 Scott Taylor is currently the principal of Park Brook Elementary in the Osseo Area Schools District in Minnesota. Prior to accepting the principal position, Scott taught both regular and special education students. Education: BS from Northern Arizona University, MS from St. Cloud State University and complete licensure program through St. Mary's University in Minneapolis Minnesota. Education: BA in Business from Bethel University, MBA from Metropolitan State University. Adjunct Professor at Minnesota State University, Mankato and teaching accounting courses at Bethel University. 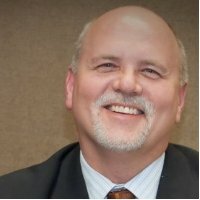 Tom is active in civic and community organizations such as Rotary International, Maple Grove Arts Center, and Arbor Lakes Business Association and along with his wife, Laurel, is involved in the leadership of his church, Revive Church Brooklyn Park. Brenda J. Dorleh, an evangelist with a passion to serve and heart to win souls for God and is pursuing a MA in Human Services at the Liberty University in Virginia and has a Masters in Business Administration from the Cuttington University College and a Bachelors in Sociology from the University of Liberia. Brenda, a small group leader, serves in various adult ministries and church groups at the Revive Church Brooklyn Park. Great Commission Global was founded by Rev. Jesse K. Toweh in Côte d'Ivoire also known in English as Ivory Coast on the 19th of December, 2000. The ministry was founded to serve the spiritual, physical and health needs of refugees from Liberia, Sierra Leone and others from War affected countries, during the time of Charles Taylor rebel activities and civil conflicts in the region of the Economic Community of West African States (ECOWAST) Jesse is studying at University of Northwestern, Roseville MN, with major in Christian ministry. Jesse also has a gift of empowering children and youth to enhance a better future for them. He attends Revive Church Brooklyn Park.